This post is adapted from an article I recently wrote for my church (Trinity St. Paul’s United Church in Toronto) newsletter, the TSP Times. I’ve added some more photos and descriptions. This summer, I spent three weeks travelling through southern Africa – Namibia, Botswana, Zimbabwe, and Zambia. While the first three countries were vacation, I was in Zambia for another reason. Namely, to visit TSP-er and recently retired Executive Minister of the Partners in Mission Unit at the General Council Office, Omega Bula – and to take her up on her offer to “come and see” Chipembi, in central Zambia. Chipembi is a beautiful place with beautiful people, but it’s also a place of poverty. 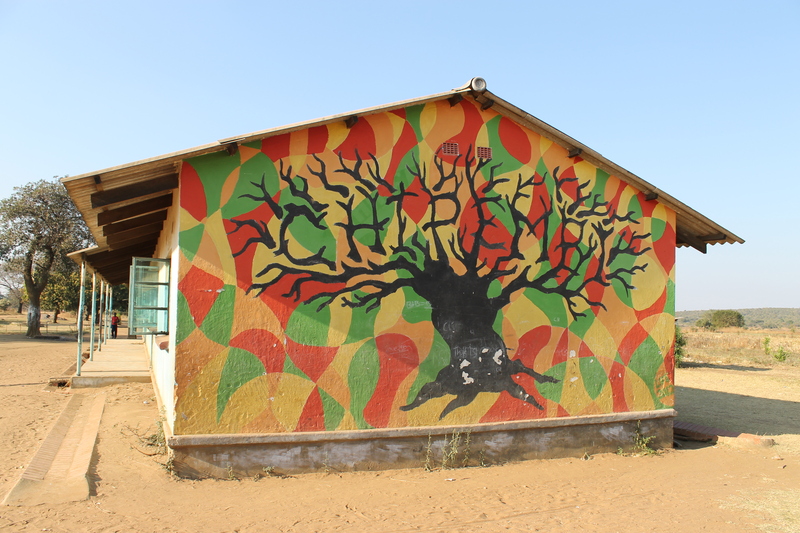 The focus of this piece is on Chipembi Basic School – the primary school in the area; I visited one of the Grade 4 and Grade 9 classes there. The Grade 9 class was full of young teenagers eager to get out into the world, to become doctors, teachers, lawyers, and nurses. But looking at the history and current state of the school, it was heartbreakingly difficult to imagine those dreams coming true. In the history of the school, I was told, only 2 students have gone on to university; some others have gone to college. And, most disturbing, and likely the reason for this low number, many if not most of the children do not know how to read. The problem is not a lack of qualified teachers, or committed parents. Though the reasons for this lack of literacy are many and multi-faceted, the main problem, teachers explained to me, is the lack of textbooks. Each class has one book – for the teacher to use as s/he then transposes words on the chalkboard to instruct her/his students. And many of these limited textbooks are old and falling apart. 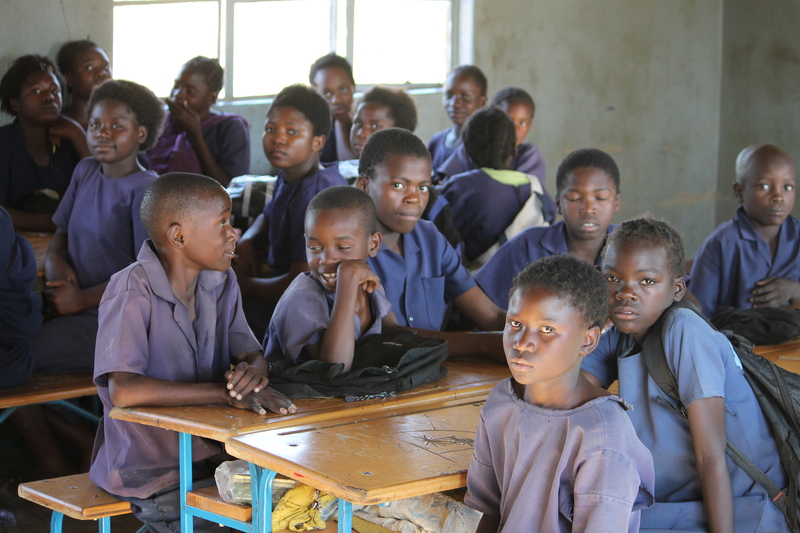 What the classes need are Zambian curriculum textbooks, one for each student in a class. Students need books in order to learn, especially to learn to read. This is Bonaventure. He walks 10 km each way to school, which takes almost 2 hours. He lives with his parents. As they have a low income, he has not yet paid the 20 kwacha ($4) in this semester’s fees. When I showed him his photo on my camera, he broke into one of the biggest smiles I’ve ever seen. Helen is 13 years old. She walks 45 minutes each way to school. She moved to Chipembi a few years ago after her mother died, to live with her father. Her grandmother pays her school fees. She cannot read. Phinious is 10 years old. He walks almost 2 hours each day, to and from school. He lives with his grandmother; they have money issues and he has not yet paid for this semester. He cannot read. This is Manasse. She is 12 years old, and repeated a grade. She stays with her aunt and uncle at the Farm College in Chipembi, so has a short walk to school. She can read very basic sentences. Benjamin Whitney, from Ottawa, recently visited Omega with his parents. When he returned to Canada, inspired by the people he met and the community he witnessed, he and two others – Jennifer Van De Vooren and Sebastien Wardell – federally incorporated the non-profit Literacy for Africa. You can find them on Facebook. They will start with ensuring there are adequate textbooks in Chipembi, but not stop there; Chipembi will be the pilot project of a hopefully successful relational program that moves beyond that community. Trinity St. Paul’s United Church is well-known for its social justice advocacy. The goal of this initiative is to support systemic change through education, namely through literacy. 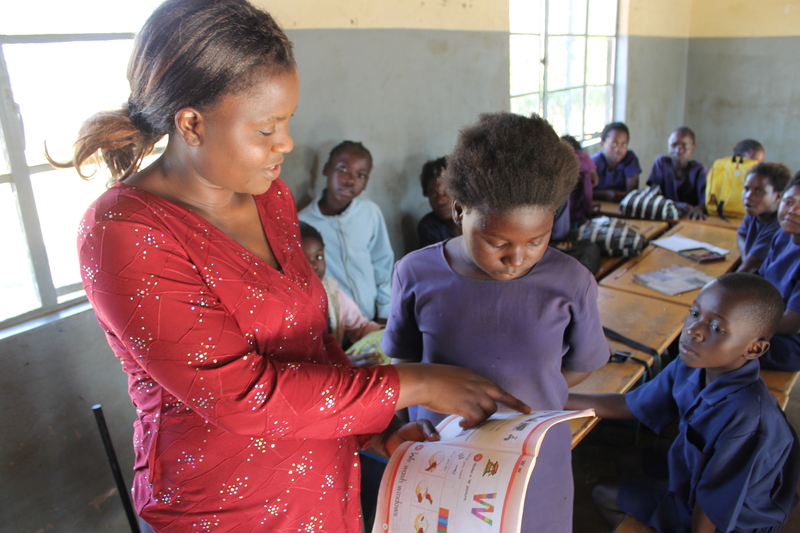 By supporting Literacy for Africa, TSP would be working in partnership with the Zambian education system to ensure students in Chipembi have regular access to Zambian textbooks. If we focus on getting the Grade 1s textbooks, and then the Grade 2s, and so on, we are helping to equip an entire generationof Chipembi children for a solid future. Many of you who have visited communities like Chipembi know how important literacy and education is, as it is for Canadian children. All children deserve a solid education, so I encourage those of you who are interested to consider donating to or volunteering with this very worthy cause. The fundraising has begun and is going strong, but more is needed to support all the grades. You will behelping to affect positive change, in one individual and one community at a time. I love this photo. I love the defiance on her face, the strong stare. I hope this kid goes far. * Note: All of the children were asked for their permission before taking their photo, and copies of the photos have been sent back to them and their families. Posted on September 25, 2013, in Human Rights. Bookmark the permalink. 1 Comment. Reblogged this on Youth for Eco-Justice.